Established in 1973, Chief Shemauger Park spans 8.3 acres. Chieef Shemauger Park is named for a Patowatomi Indian Chief who signed a treaty with white settlers who moved to Urbana. The park district’s Planning and Operations facility is located on the east half of the park. The park's 13.5 acres were acquired in 1971, but not without difficulty. A federal grant had been approved to buy park land near Urbana's Carroll Addition, but a Chicago-area firm that owned the land did not want to sell it. The park district had to convince other land owners in the area to annex to the park district until the proposed park was surrounded so that the park board could acquire it by eminent domain. A jury decided the park district should pay $50,000 for the land, rather than the $90,000 the owner sought. In 1974, a park district bond issue provided funds for a water fountain, parking and other improvements. Chief Shemauger was said to have been friends with the white settlers, telling them he was born by the Boneyard Creek near where Main Street now runs. A major Potawatomi council was held before that treaty between Indians and settlers was signed under a great elm tree east of Urbana, the quarterly reported. As of 1987, the tree was still standing, but no one knew where the treaty was. The chief lived near Urbana until he died at an advanced age and was buried in the Pioneer Cemetery, which was where Leal Park is now located. Many of his tribe would come back during the winter and build their campfire on his grave to light his spirit. 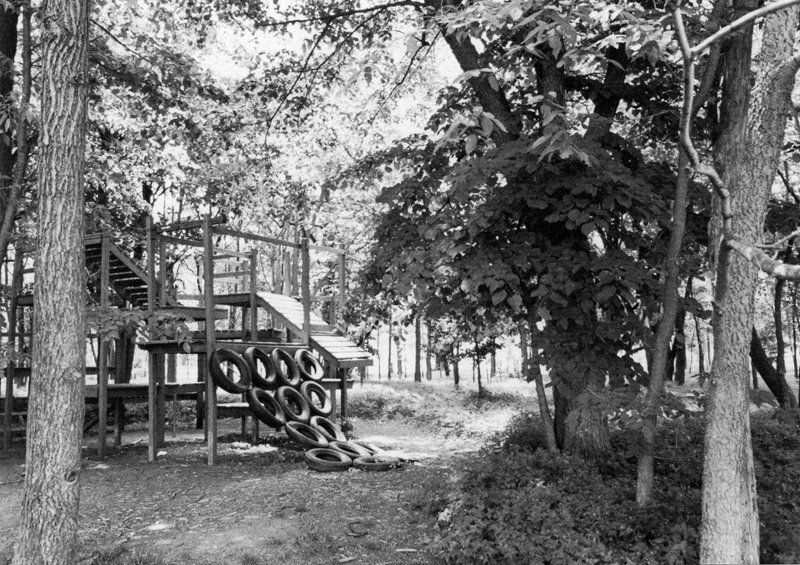 In the 1970s, the park had a wooden play structure, which since has been removed. Today, amenities include ball fields, basketball courts, picnic tables and grills. The park is the site of district girls' softball program, the youth T-ball program, and pee wee football. Major renovations for the park began in 2011 and these will continue for the next few years. The park will keep the t-ball field, the basketball court will be resurfaced. There is a nature trail, playground, open field, and picnic grove proposed in the plan. Wooden playground built in the 1970s and since removed. : Photo courtesy Urbana Park District Published in Mancuso, Dana L. (Ed.). (2007). A century of growth: the Urbana Park District's first 100 years. Urbana, IL: Urbana Park District. 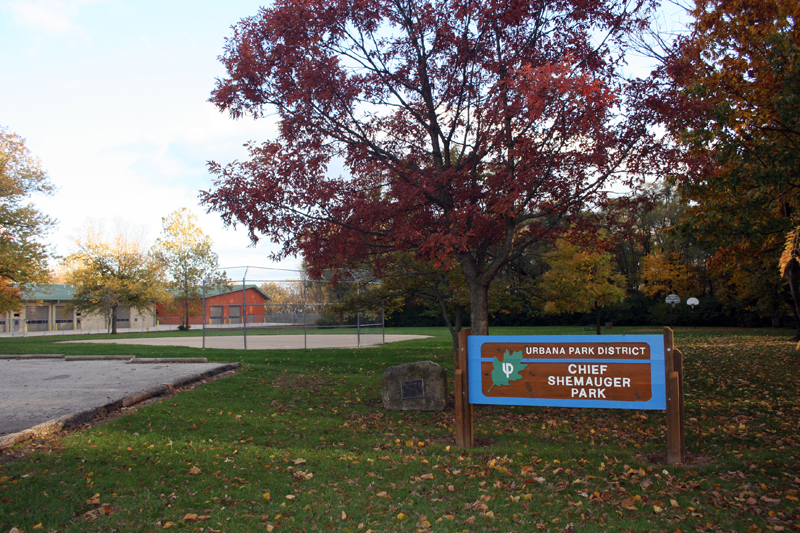 Urbana Park District, “Chief Shemauger Park,” ExploreCU, accessed April 21, 2019, https://explorecu.org/items/show/151.